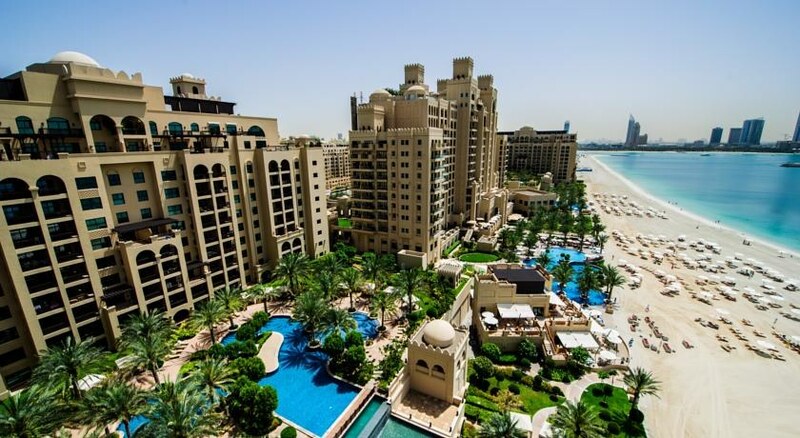 The Aquaventure and Dubai Marina are both easily accessible from this popular hotel. The establishment offers unique accommodation units. With over 50 kilometres of the coastline- this unique island offers breath-taking scenery with easy access to Dubai city centre. 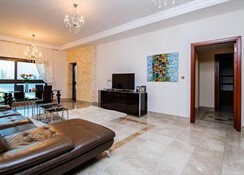 Guests are offered high-quality restaurants- shopping malls and cinemas. Sport enthusiasts can stay fit in the sporting facilities. The hotel is also within 10km of three world-class golf courses. There are 50 apartments in total. 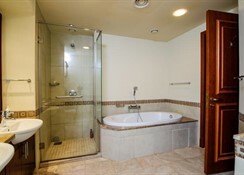 The rooms are well-fitted and come with air conditioning- hotel safe and Internet access. 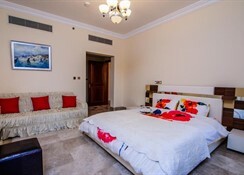 The hotel offers comfortable accommodation units. Guests are invited to take a refreshing dip in the outdoor swimming pool. Sun loungers are laid out ready for use. A marina, concierge services, and dry cleaning are available at this smoke-free apartment. Free WiFi in public areas and free self parking are also provided. Other amenities include laundry facilities, a 24-hour front desk, and tour/ticket assistance. All 50 apartments feature kitchens with refrigerators, stovetops, microwaves, and dishwashers. Washers/dryers and free WiFi are standard, as are flat-screen TVs with cable channels. 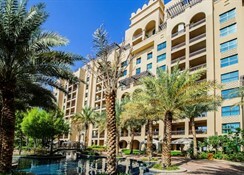 Located in Palm Jumeirah, this apartment is within 6 mi (10 km) of Dubai College, Aquaventure, and Ski Dubai. Mall of the Emirates and Dubai Marina are also within 6 mi (10 km).